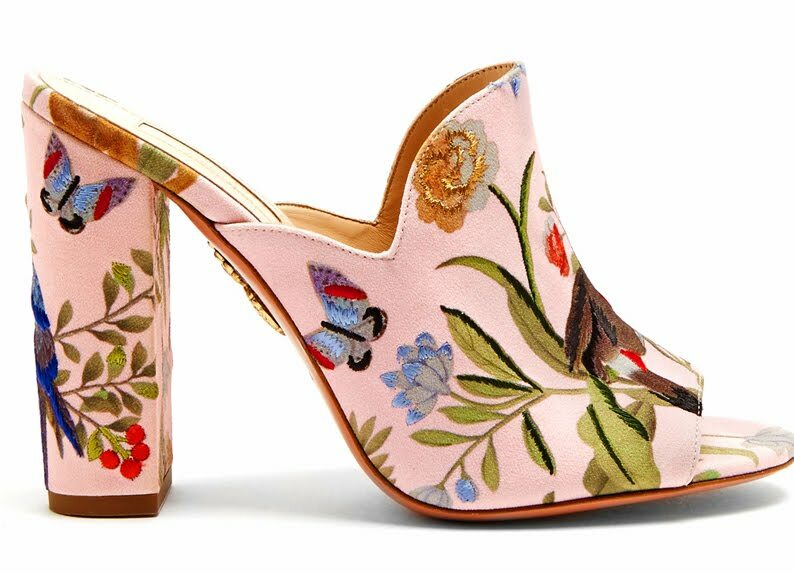 Colombian shoe designer Edgardo Osorio brings a signature flamboyance and sensuality to his footwear label Aquazzura. The exotic painted snakeskins, graphic prints and searing shades on the vertiginous strappy high heels hint at after-dark glamour. 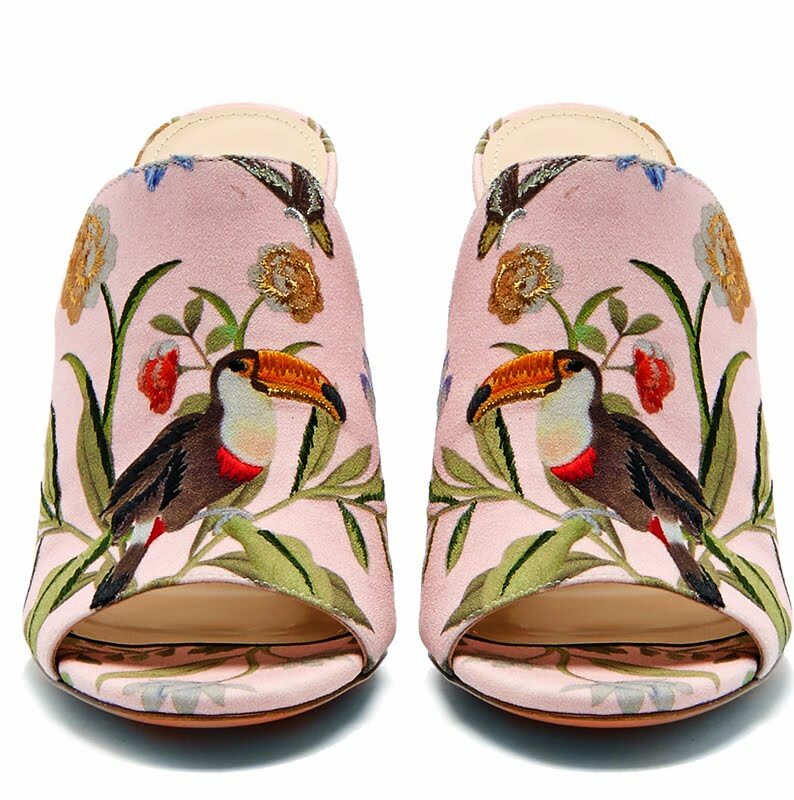 Part of an exclusive collaboration for MATCHESFASHION.COM, de Gournay's exquisite eye for opulent detail is translated in Aquazzura's sugar-pink mules. 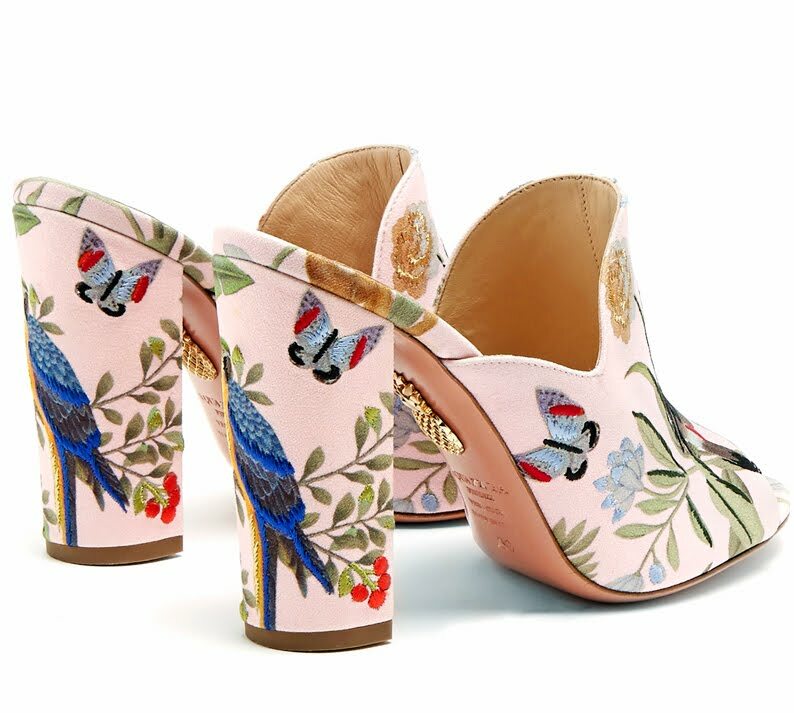 The shoe shape of the season is immaculately decorated with tropical embroidery – note the vivid pelicans, parrots, and butterflies – and finished with a high block heel to create a flattering arch. Keep them centre stage with smartly tailored separates.